Member Appreciation Dinner & Dance – Sat. 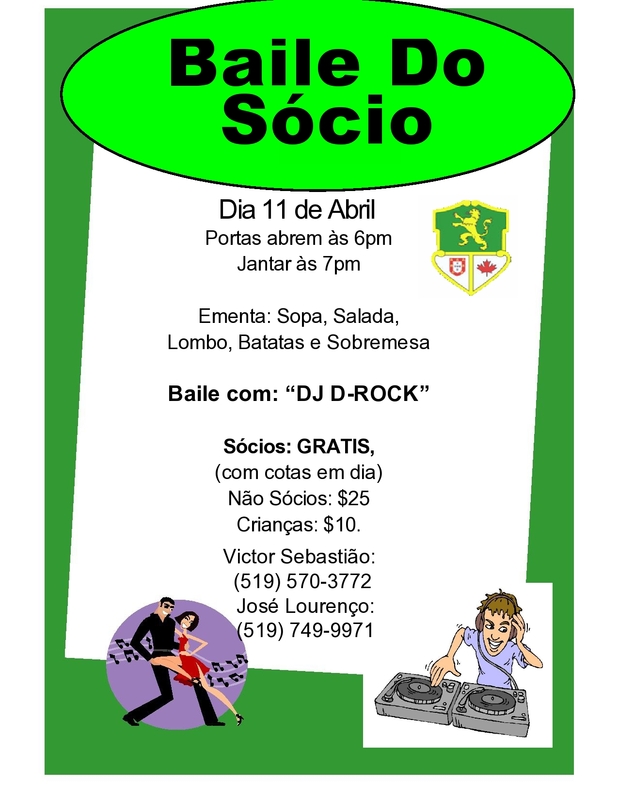 April 11th, 2015 | Kitchener Portuguese Club Inc.
Posted in: Members (Socios) News, Past News and Events. Tagged: 11th, 2015, 6pm, 7pm, Appreciation, April, club, D-Rock, Dance, Dessert, dinner, DJ, Doors, kitchener, Members, Menu, portuguese, potatoes, salad, Saturday, Soup, Supper, Tenderloin. Menu: Soup, Salad, Tenderloin, Potatoes and Dessert. Prices: Members: Free, (with fees updated) | Non-Members: $25 | Children: $10.